When Bronxville native, restaurant owner, and—as of November—published author Olimpia Zuccarelli reflects over her three decades in the restaurant business, her mind instinctively drifts to her mother. “[She] taught me everything I know, and is my reason for writing this book,” reads the first sentence of A Chair at My Table, Zuccarelli’s newly released autobiographical cookbook. 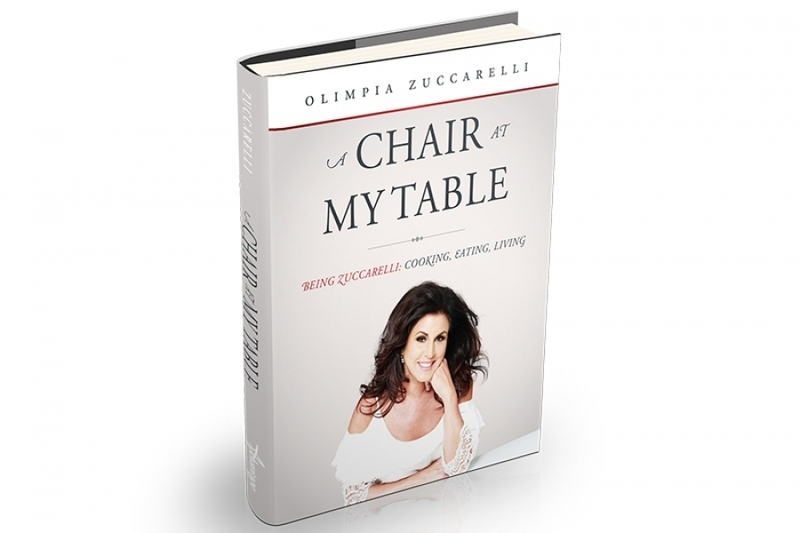 Published by Advantage Media Group, A Chair at My Table is Zuccarelli’s account of being the daughter to Frances and Ralph Zuccarrelli—the founders of Zuccarelli’s Italian Kitchen in West Palm Beach, FL—a restaurant Olimpia inherited. Before moving to Florida when she was nine, Zuccarelli helped at her family’s Mount Vernon deli, and prides herself on sticking with the restaurant business ever since. Zuccarrelli hopes her 24-year-old son, Michael, will also join the family business. “I would like to continue the legacy,” she said. Zuccarelli hopes sharing her family’s traditional Italian recipes will inspire other women to realize that working, writing, and being a single mother all at the same time is possible. If Zuccarelli’s book piques your interest, you’re in luck—she’s hinted at starting a new one next year.